Well, it’s almost that time of year again. The time of year when professional power washing companies store away their equipment and wait for better weather in the new year. It’s also that time when leaves have mostly fallen, the nights are colder and the holidays are almost here. How clean is your sidewalk? Is it sparkling like the upcoming holidays or scary…better suited for Halloween? What will your relatives and friends find when they approach your door in a few weeks? 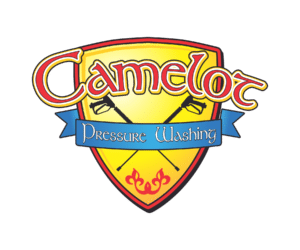 The technicians at Camelot Pressure Washing don’t pack up their equipment. There are still a few spots on the schedule open for pressure washing your sidewalk, roof, siding, gutters, etc…. Whatever it is that is taking away from the beauty of your home, know there is still time to get a free estimate and book an appointment by clicking here. 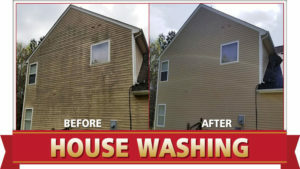 Camelot Pressure Washing techs are licensed and insured to work on residential and commercial properties throughout the greater Charlotte area. Our two MAIN service areas are Concord and Harrisburg in North Carolina. In Mecklenburg County, our techs work in Charlotte, Cornelius, Davidson, Huntersville, Matthews, Mint Hill and Pineville. We work in Cabarrus County, in Concord, Harrisburg, Kannapolis, Midland and Mount Pleasant. In Union County, we travel to Indian Trail, Marshville, Marvin, Matthews, Monroe, Stallings and Waxhaw. To schedule an appointment before the holiday guests arrive, click here or call our Charlotte, NC office at 704.400.0623. Imagine hanging holiday decorations on a perfectly-cleaned house. 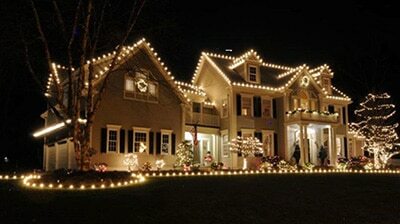 The lights will look brighter and make your home the jewel of the neighborhood.